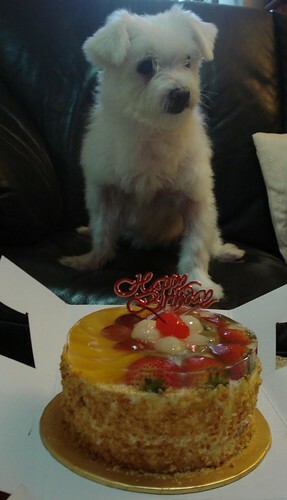 Bon Bon, the Great White Maltese, celebrated her 10th birthday on the 28th of August 2009! May she remain as healthy and happy for many more years to come! Yummy fruit cake proudly sponsored by Lawrence & Amy!